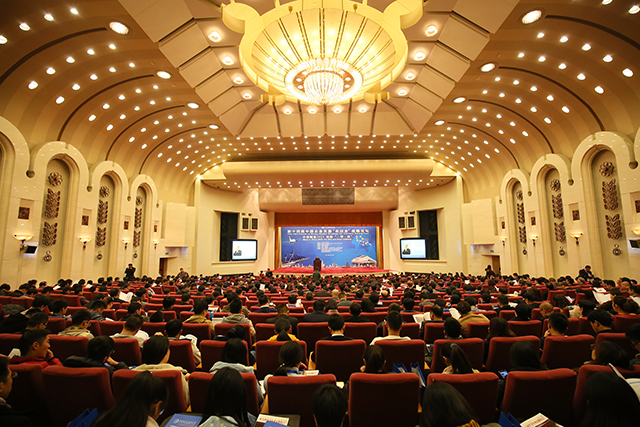 The 14th Forum of Going Global Strategy for Chinese Enterprises was held at The Great Hall of the People in Beijing on December 6th, 2015. 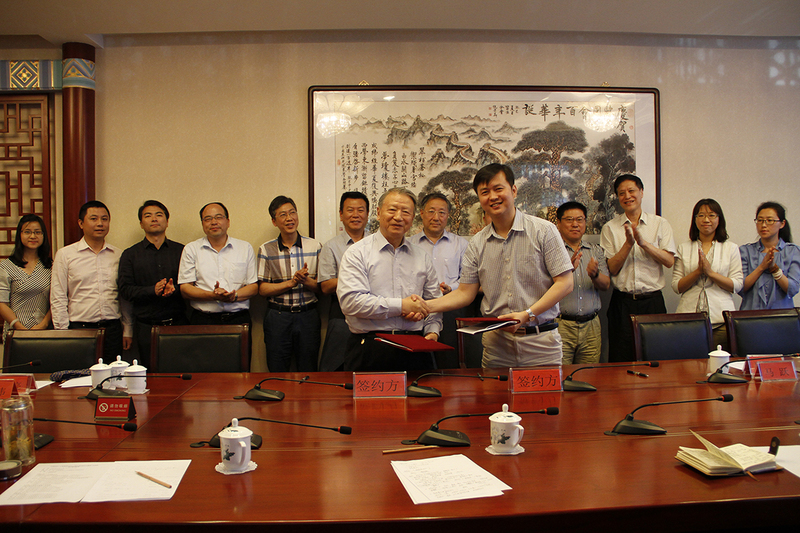 The event was initiated by the WRSA Entrepreneur Alliance and co-organized by the WRSA Chinese Overseas-Educated Scholars Association and the China Overseas-Educated Scholars Development Foundation. 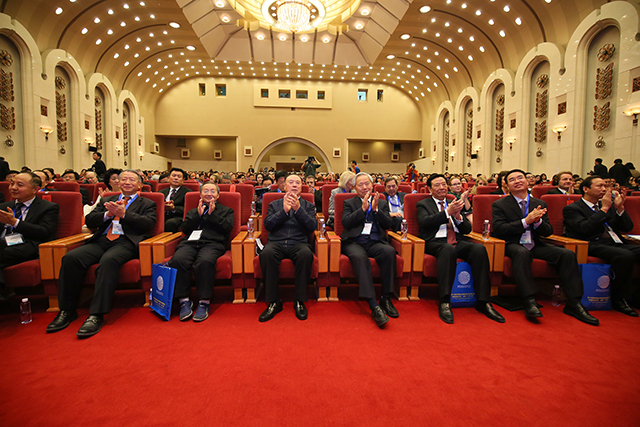 More than 700 officials from different departments, businessmen from well-known enterprises and M&A enterprises and representatives from China, America, England, France, German, Canada, Japan, Korea, Taiwan, Hong Kong, Macao and other regions attended the event. 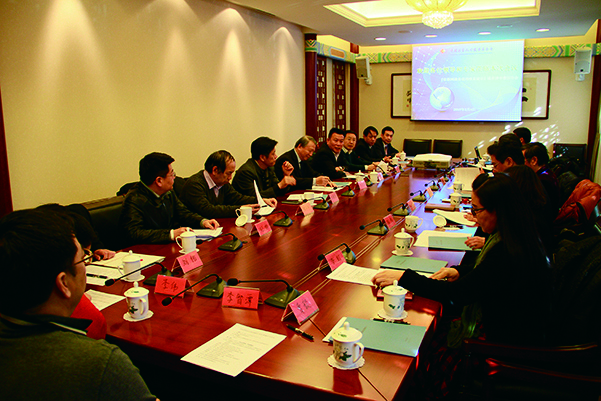 In May of this year, with the successful release of Made In China 2025 and The Guideline to Boost the International Productivity and the Cooperation for Equipment Manufacturing, the State Council stated that the manufacturing industry with international competitiveness is essential for the country to improve the overall national strength, ensure the national security and construct a powerful nation. The new technological revolution and industry renovation nowadays is becoming historically merged with China’s strategy to accelerate the change of economic growth mode; the new structure of international labor division is under rebuilding. All this, especially with constant emergence of some new technologies, promotes deep reform within the manufacture industry. 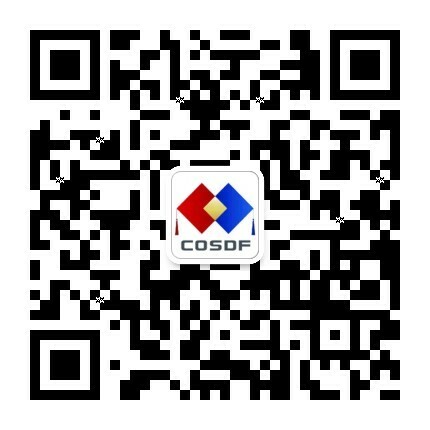 This forum with the theme of Made In China 2025: The Belt and Road Initiative aims at exploring the way to transform and upgrade the structure of manufacture under new formalities, boosting the sustainable development of the Going Global Strategy for Chinese Enterprises and aiding to carry out the strategy of The Belt and Road. Bai Lichen, vice-chairman of the 9th, 10th, 11th CPPCC and general counsel of the WRSA Entrepreneur Alliance delivered a speech at the opening ceremony, stating that according to the 13th Five-Year Plan approved in the Fifth Plenary Session, China would do more in opening up and accelerate transformation and upgrade. 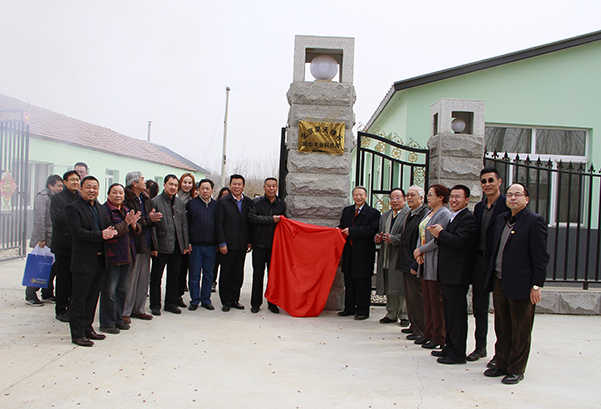 China will enter a brand new stage in economic development. The core of manufacture should transfer to innovation from manufacture, and the innovation-driven mode is the key to realize this process. 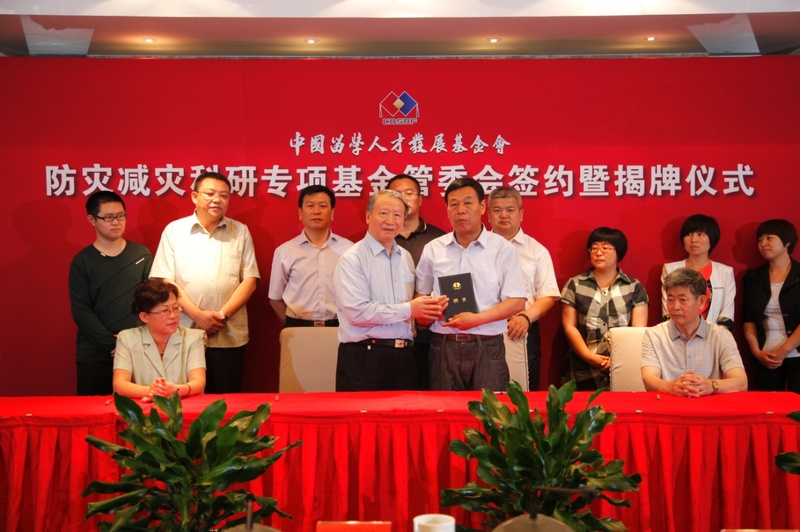 Ma Wenpu, vice chairman of the Foreign Affair Committee of the 11th National People’s Congress, member of the leading party group of the Western Returned Scholars Association Chinese Overseas-Educated Scholars Association, general director of the China Overseas-Educated Scholars Development Foundation and former vice minister of the international liaison department, and Sarah Kemp, Minster Counselor for Commercial Affairs, U.S. Embassy, Beijing, China attended the forum and made welcome speeches. Zhou Zhencheng, Deputy Director of the Department of Outward Investment and Economic Cooperation, Ministry of Commerce, Song Xiaogang, executive vice president of China Machinery Industry Federation, Stanley Barer, Valued Counsel to Chinese and US Officials on US-China Bilateral Relationship and Richard Davenport, President of Minnesota State University, Mankato, delivered speeches in the forum as well. The forum was hosted by Xu Changdong, the executive chairman of the forum, president of the WRSA Entrepreneur Alliance, deputy general director of China Overseas-Educated Scholars Development Foundation, Board Chairman of US-China Capital Inc and president of China General Aviation Development Association. During the Round Table Forum, a number of guests interactively presented their brilliant ideas, arousing much applause from the audience. The Round Table Forum One with the theme of Made In China: Brand Internationalization of China was attended by Deng Xu, vice-standing president of WRSAEA, director of, boffin & professor of Chinese Enterprises Overseas Investment and Financial Risk Research Center, Wu Yuhua, member of Standing Committee of the CPC Shanghai Municipal, vice president of Youth Intellectuals Friendship Association, CEO of Shanghai Yangtze River Delta Technology City Development Co., Ltd, William Zarit, former minister for Commercial Affairs, U.S. Embassy, Beijing, China, Qiu Jianying, CEO of Generalgene (Shanghai), Liu Tong, CEO of LeMine Investment Group, Phil Cooper, Goldman Sachs Partner PE Group (Ret) Founder, Yang Yusheng, founder & CEO of Zhuhai Xitong Electronics Co., Ltd, and Amu, vice president on Strategic Management of LeTV Holding Group. 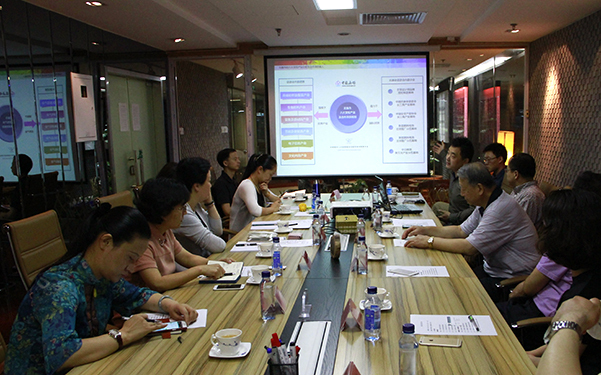 They discussed and analyzed the current situation and difficulties in Chinese manufacture industry, and stated that we strictly follow the development features of Chinese economy under the new normality have to take full advantages of the economic globalization and capital market, well adjust the stock, and actively seek for new growth point. China has entered the critical period to carry out manufacture transformation and upgrading, and the new technological revolution has provided great chances for China to improve its product quality and brand competitiveness. The Round Table Forum Two with the theme of The Belt and Road & Innovation of Chinese Entrepreneurs was attended by Zhou Liqun, vice president of China Russia Friendship Association, vice president of WRSA Russian-Educated Entrepreneur Association, vice standing president of the WRSA Entrepreneur Alliance, deputy general manager of Chinese Chengtong International Investments Co., Ltd, Yan Changming, president of Canada JiaDa International Business Investment Consulting Company, Huang Xiaoqing, expert of The Thousand Talents Plan and former president of China Mobile Labs, Selig Sacks, Co- Chair of Foley&Lardner LLP, Ren Dehua, General Manager of China Poly Group, Zhang Yunqi, professor in Central University of Finance and Economics, Huang Chaoda, chairman of the board & CEO of Tianshijie, and Noel Irwin Hentschel, CEO & Chairman of American Tours International(ATI). They agreed that we have done much in advancing the globalization strategy since 18th National Congress of the Communist Party of China: we have put forward a series of long term strategic planning. Benefiting from the strategy of The Belt and Road, we have applied two kinds of resources to the manufacture industry of China and made explorations in two markets. Innovation has become the core motivation for Chinese manufacture’s transformation from made in China to created in China. 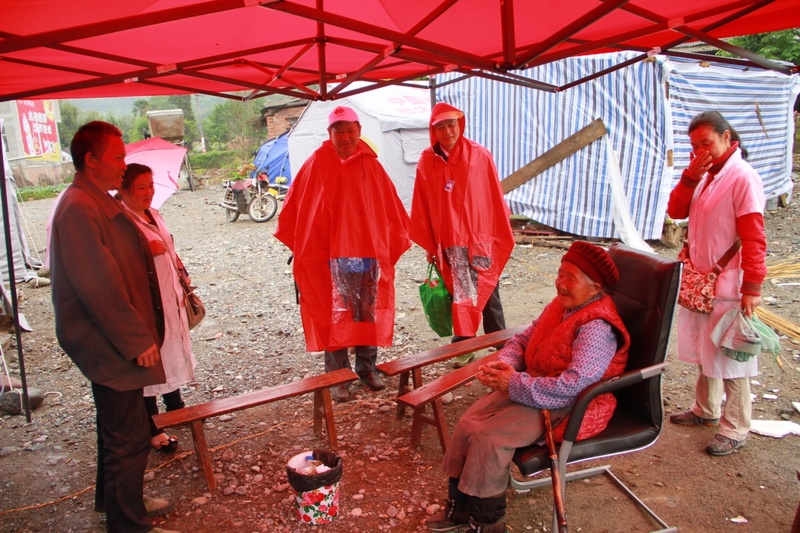 Theoretical innovation, systemic innovation, technological innovation and cultural innovation will advance the deep revolution in social production and people’s lives. Chinese economy has witnessed a new starting point in its development history and it will serve as a crucial support for the transformation and upgrade of Chinese economy to further accelerate the Going Global Strategy for Chinese Enterprises. The steady and sound development of Chinese economy will also make great contributions to the prosperous development of the whole world. 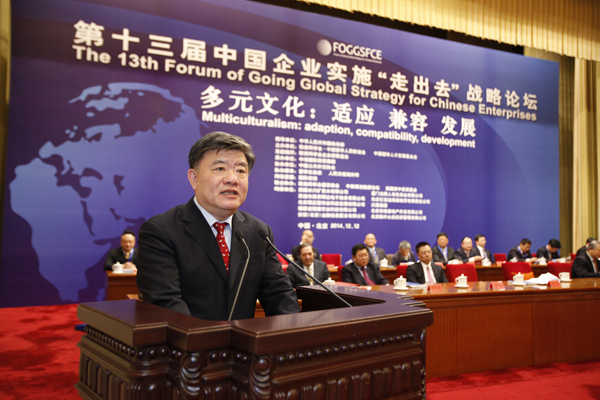 The Forum of Going Global Strategy for Chinese Enterprises will continue its role of perceptiveness and guiding under close combination with the development strategies of China at different periods. 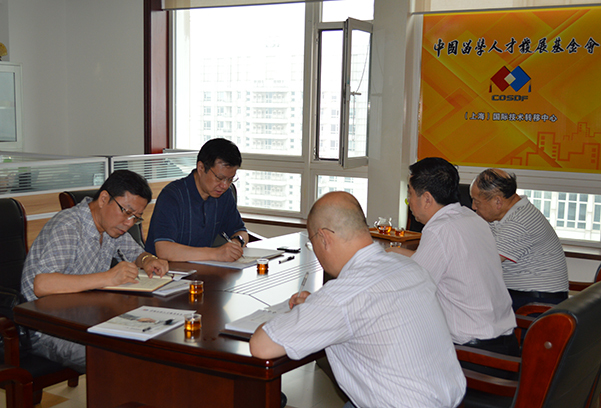 It will assist Chinese enterprises in their internationalization practices and cooperation with international companies. Also in attendance was Fu Zhihuan, chairman of committee of the Financial and Economic Committee of the 10th National People’s Congress, former minister of the Ministry of Railways and honorary president of the WRSA Entrepreneur Alliance, Zeng Jianhui, chairman of committee of the Foreign Affairs Committee of the 9th National People’s Congress, former director of State Council Information Office and honorary vice president of the WRSA Entrepreneur Alliance, Feng Zhicheng, founder of the WRSA Entrepreneur Alliance, former managing director of China International Trade Centre and former vice president of Shougang Group, Zhang Ming, deputy director of the 6th Office of United Front Work Department, Huang Xianting, CPPCC chairman of Yuxi City, Yunnan Province, Xu Suining and deputy secretary general of the WRSA Chinese Returned Scholars Association, Liu Jiaxiang, vice standing president of the WRSA Entrepreneur Alliance and former president of China Travel Services Group, Zhuang Liang, secretary general of the China Overseas-Educated Scholars Development Foundation and vice standing president of the WRSA Entrepreneur Alliance, Chen Zhongsu, expert of The Thousand Talents Plan, vice standing president of the WRSA Entrepreneur Alliance and president & CEO of Beijing Global View Technology Development Company, Shi Hong, vice standing president and secretary general of the WRSA Entrepreneur Alliance and president of the Redstone Venture Capital Company and other officials and representatives.